An anonymous little birdie dropped this in my inbox last night. I reached out Mr. Diaz to authenticate and was told it was real. So I’m publishing it. Glad to see someone being proactive about the Blueprint NC cabal and their obvious media ties and bias. 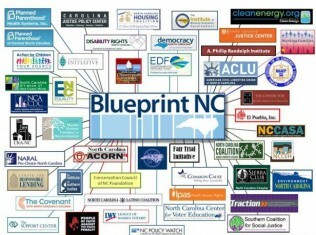 For those interested after reading the letter below, here’s my archive on Blueprint NC. Since we last spoke almost three months ago about concerns regarding campaign contributions by WRAL’s owner to one of Governor McCrory’s potential Democrat opponents for governor, Attorney General Roy Cooper, WRAL has continually failed to disclose these campaign contributions and financial ties to third party political groups in its reporting on the 2016 race for governor. These donations and subsequent failure to disclose them to viewers in your reporting raise serious questions and concerns about WRAL’s ability to be fair, transparent and impartial in its coverage. WRAL’s apparent decision to keep its owner’s political contributions secret from North Carolinians is head scratching, especially considering that WRAL has carried stories relating to frequent GOP donor Sheldon Adelson’s recent purchase of a Las Vegas newspaper. These reports, as I’m sure you’re aware, center around concerns journalists have expressed over the possible influence an owner’s political views and campaign contributions can have on the news organization. In that case, the newspaper’s own journalists demanded that the paper’s owner, political leanings and history of political contributions to candidates and third party groups be fully disclosed to the public in its reporting in order to uphold high journalistic standards, maintain trust with the public and preserve the integrity of the news organization. If WRAL believes – through its reporting and the stories it chooses to carry – that a businessman who has a history of donating to Republican candidates and groups can influence the reporting of a news organization he owns, it is reasonable to assume that your owner’s campaign donations and financial ties to secretive third party political groups that routinely attack the governor can also influence the reporting you produce at WRAL. Even the very perception of such impartiality should be enough to convince WRAL to disclose these campaign donations to Attorney General Cooper and ties to secretive third party groups in its reporting on Governor McCrory and the 2016 gubernatorial elections as a whole. But as we enter 2016, I’m afraid these fears of impartiality have become a reality. Mr. Hammel, you may want to dismiss my letter as yet another example of Republican “media bashing,” but I can assure you that it is not. This matter speaks to the very heart of the distrust the North Carolina people presently have towards the media – on both sides of the political spectrum. A recent survey by Elon University found that North Carolinian’s trust in the media is at an all time low. I would imagine that during a time when the media is so distrusted by the public, WRAL would strive to adhere to even basic principles of journalistic standards and integrity by disclosing these donations. We believe that given the history of your station’s political contributions and financial connections to third party political groups you routinely source, it is reasonable to request that going forward, you disclose WRAL’s donations to Attorney General Cooper and connections to secretive third party groups in all of your reporting on the governor, the administration as well as the 2016 race for governor as a whole. I’m afraid that failure to do so will call into question the very integrity of WRAL as a news organization, do irreparable damage to the journalism profession and further erode the public’s remaining trust in the media. This entry was posted in BlueprintNC, LL1885, Mapping The Left, Media Bias, Pat McCrory, The Articles, WRAL. Bookmark the permalink. I saw this a couple of years ago. It was circulating among TEA Party groups in the state.